Are they dragons or crocodiles? Venice is a fantastic city. Fantastic in the literal sense of the word. Shady presences and ancestral creatures that reside in our imagination come to life here, making it an evocative, unusual and unreal place. 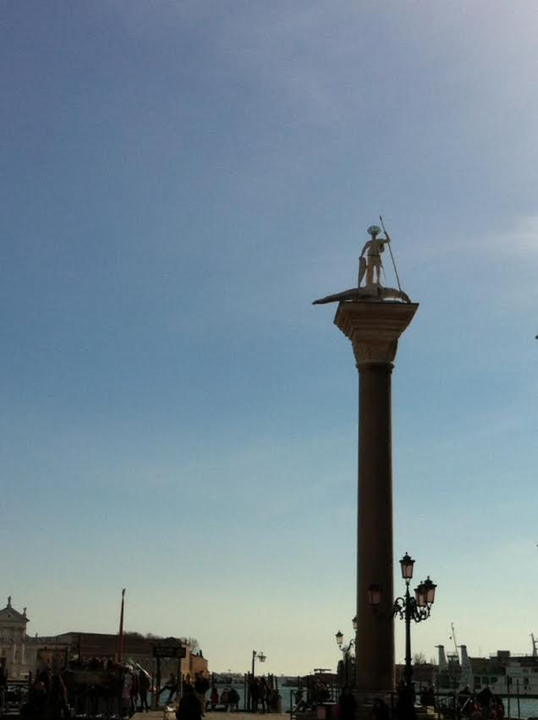 Have you ever felt the strange sensation of not knowing where to look when you walk through Venice? Don’t you sometimes feel drawn by curious stones, small sculptures or great statues that dramatically, randomly, appear? My gaze descends from the deep blue of the sky to the grey “masegni” paving stones and the cinnabar-green water of Bacino San Marco. Before me lies an island with a church. 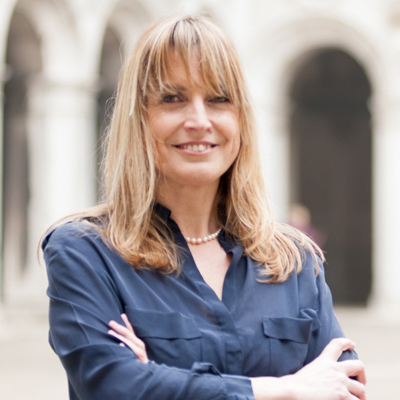 It is the Church of San Giorgio Maggiore. Another man, another saint, another warrior who kills dragons. A remarkable painting of “St. 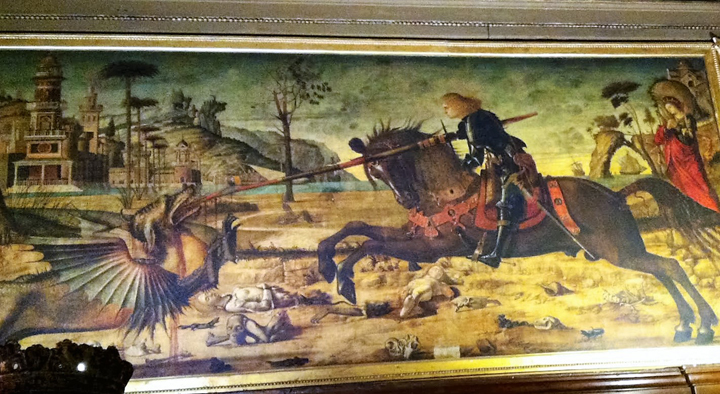 George and the Dragon” by Vittore Carpaccio is on display inside the monastery, in the room of the “Winter Choir”. Unfortunately, it is rarely possible to access the Winter Choir. I suggest going to the Scuola di San Giorgio degli Schiavoni, where Carpaccio painted the panels that once decorated the Sala dell’Albergo, which have since been moved to the Sala Terrena. You will be ecstatic, surprised and delighted by the features of the dragon, the saint’s shining armour and the macabre background full of skulls, bones, mutilated bodies, snakes, toads and lizards in the arid soil of the scene. 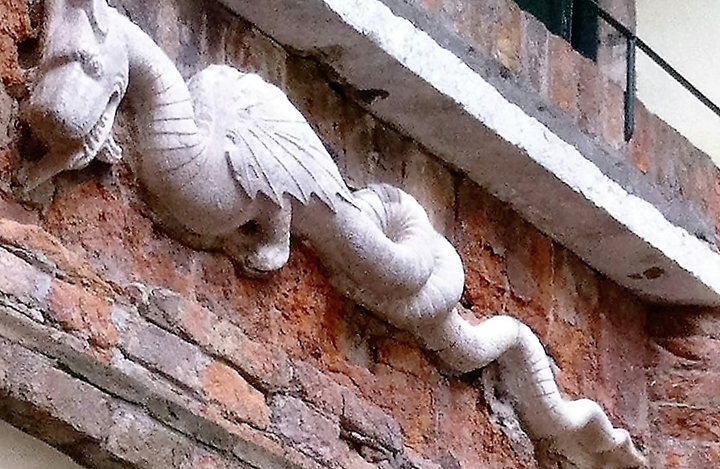 But in Venice, there aren’t just dragons that are defeated by holy warriors; there are also dragons that devour young children, like those at the base of the Tetrarchs on the corner of the Doge’s Palace. I decide to move away from the square, and find myself crossing a “sotoportego” that opens to a small court. I look up and see a snake on the lintel above the door to a house. Or perhaps it’s a dragon? It is no doubt a dragon: it has wings and two front legs. I make an interesting discovery: the name of these strange creatures comes from the Latin “draco”, which means both dragon and snake, so images of the two might coincide. I begin to feel tired and decide to end my day hunting for dragons in one of the city’s liveliest squares, the Campo Santa Margherita. One of the many bars around the square attracts my attention: it has a curious name that evokes dragons. 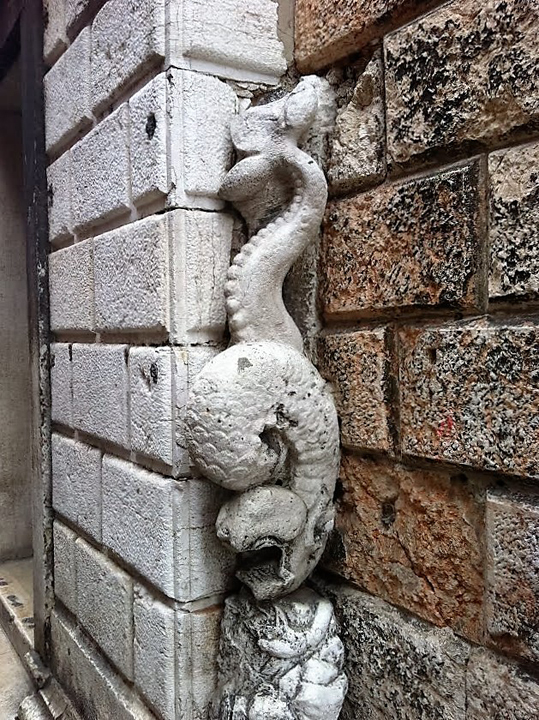 I ask for an aperitif and, when I look out the window, I understand what gives this place its name: on the corner of the wall of the building opposite, a dragon creeps down along a groove in the wall. I cannot tell if it really is a dragon or a sea monster. 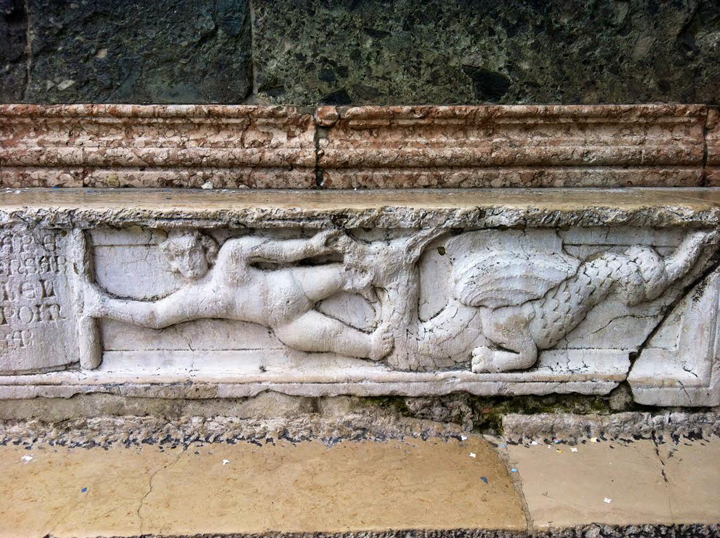 As I sip my aperitif, I wonder whether the Venetians had ever seen or met these fantastic creatures. Creatures so flexible and sinuous that they remind me of the “S” form of the Grand Canal and of the mysterious, labyrinthine evolution of the city. That intricate maze of dark streets, gloomy waters and bridges wrapped in fog as if suspended, which, between legend, history and fantasy, invites visitors to lose themselves among the enigmas, lights and shadows of Venice.